those small jungles of fruits and leaves. “Paul, Carly, this is Ed. what, half of April now?! and he’s home so rarely. me keeping a pet arachnid? or behind the garbage bins. of creativity and I submit. Gretchen Friel teaches English, German, and creative writing to high school students in Northern Illinois, where she lives with her husband. They have five adult children between them, and four grandchildren. 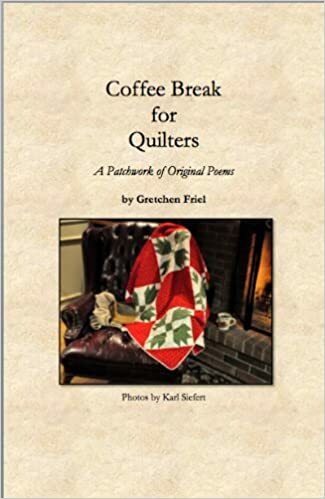 Most recently, Gretchen has written a poetic memoir and is sharing one poem at a time on her Instagram site: @rescuedpoeticmemoir. Silly but very interesting too. Thank you. I'd like to introduce Ed to my daughter's Annie. Great poem! Oh, such a delightful ode! I hope Ed returns the favor and kills all the creepy-crawlies that come unwanted into your abode. Zounds! What a great poem. We're also spider lovers in our house and we'd never hurt one, though in the summer capture them and put them outside on a flower. We co-inhabit the house in winter. this poem captures a great story. I wish you and Ed all the best.